Vonk Digital is a website design company that has what it takes to build custom websites that embrace the latest design trends, are SEO compliant, fully responsive and user-friendly. We specialize in website design for small businesses. Whether you are a business professional, e-Commerce Business or brick and mortar location, – we have a solution for you. We can build a site with a simple layout or something really complex – whatever your needs may be! Let us build your website today. 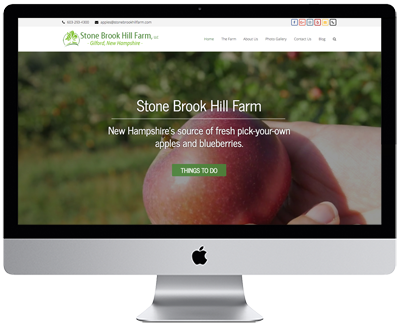 Website build for an apple orchard and wedding venue in Gilford, NH. 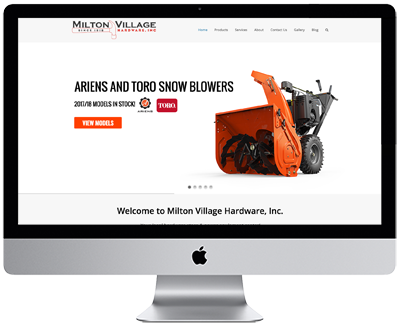 Website build for a hardware store in Milton, MA. 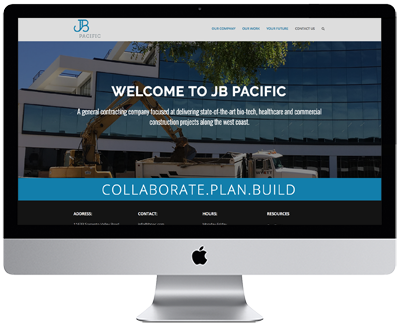 Website build for a commercial construction company in San Diego, CA. 1.) Fill out the contact form so we can get in touch with you. 2.) We will want to learn more about your business and your online business goals. 4.) Vonk Digital will put together a detailed proposal with project details and pricing for your review. Ready to Discuss a Custom Website? At Vonk Digital we aim to elevate the mediocrity many businesses have grown to accept when it comes to presentation and online web presence. We offer an easy-to-use, cost effective, feature rich Website Platform that will literally be the backbone of all your new business development success…and visually blow your mind in the process. We specialize in mortgage websites, but we can build just about anything. We hear from our clients that our sites are the best on the market. We hope you agree and get started soon!